TWENTY-EIGHT OF Ireland’s top third-level institutions took in a combined €396 million in registration fees in the last academic year. This is more than double the €185 million that pertained among the same institutions six years previously, illustrating the increased burden being placed on students and their families. Registration fees, or annual student contributions, are the charges paid by students who qualify for free tuition and are therefore the primary source of income the institutions receive from Irish students. The level of student contribution varies from one course to another and the maximum rate for the upcoming academic year is €3,000 per student. A Dáil question by Fianna Fáil TD John Lahart to Minister for Education Richard Bruton sought information on the yield from these contributions at the various third-level institutions. The yield by the top seven universities and one institute of technology reflects the size of the various student bodies and also demonstrates the increasing reliance of third-level institutions on contributions from students. A recent report compiled for the Department of Education outlined three options for the future funding of third-level education. These included maintaining the current system of registration fees, introducing a student loan system or switching to a genuine ‘free fees’ system that would require a significant increase in funding from government. “The era of free frees that Niamh Breathnach began in 1995 is finished a long time,” says to USI deputy president Jack Leahy. We just have a complacency about calling things ‘fees’. We pay €3,000 fees. The ‘free fees’ refers to the tuition portion but the €3,000 is one of the highest fees in the world in third-level education. The funding details of the 30 institutions the minister gave details for showed how student contributions have increased on an annual basis over the last six years. For example, UCD took in €19.2 million from student contributions in the 2010/11 academic year compared to €40.5 million last year. Nearly every institution displayed a silimar increase, even on the lower end of the scale. 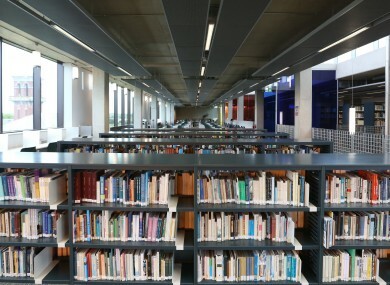 IT Carlow, example, has seen its funding from students increase from just under €5 million in 2010/11 to just under €10 million over the same period. Leahy says that, for nearly all Level 7 or 8 courses next year, students will be paying €3,000 for the annual registration. Certainly, with the estimated cost of a student going to college for a year at €11,000 minimum if you’re renting in Dublin. So €3,000 is a pretty significant contributor to that, apart from rent it’s pretty much the biggest. So whether it’s about fees specifically or the general cost of college, we have a hell of a lot of people getting in touch. Leahy adds that some universities allow students pay the student contribution in installments to help spread the burden of the cost. Email “Here's what Ireland's top universities are making from student contributions”. Feedback on “Here's what Ireland's top universities are making from student contributions”.